Safely and quickly so you can enjoy the drive! 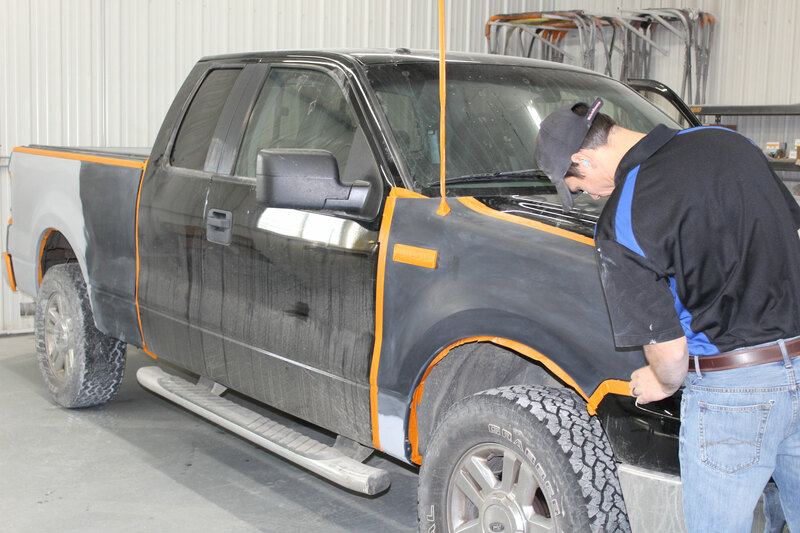 Schmitz Body Repair & Paint has been serving the Perham, MN area for over 38 years! Let us show you that accidents don’t have to be a headache, and be your first choice for any body repair needs! Regardless of how they happen, automotive accidents are a hassle. Your goal is to get back into your vehicle as soon as possible, and to have it looking as if it had never been in an accident at all. At Schmitz Body Repair & Paint, we have over 38 years of experience in doing just that, and you’ll feel like part of our family when you choose us for your accident or other auto body repairs. Whether a scratch, bumper ding, or accident repair, our exceptional staff and state-of-the-art facility will make your vehicle as good as new, as painlessly as possible. Whether it’s a small paint scratch or ding, or a full collision repair, our state-of-the-art facility is equipped to handle a wide variety of jobs, including frame straightening with a laser frame alignment system and paintless dent removal. First impressions are everything, and the same can be said for the paint job on your vehicle! As an Axalta paint dealer, we are capable of creating any color of the rainbow, or matching any vehicle color for a perfect match, every time. Protect your investment and keep your vehicle looking sharp with help from our detail department. Both interior and exterior detail packages are available, and will keep your vehicle shining like new for years to come. From chips and cracks to shattered windows and window tint removal, our team can handle it all with the same great quality you expect from our team. Personalized touches are what make your vehicle truly yours, and we offer a wide variety of products to do just that. From running boards and mudguards to tonneau covers and truck caps, you can have peace of mind knowing that a professional installed your accessories of choice. You can trust us with your most prized collector vehicles, and we have both the facility and the knowledge to restore those vehicles to showroom shape. With 35 years of experience serving the Perham, MN area, Schmitz Body Repair & Paint wants to be your first choice. From restorations and detailing to collision repairs and glass replacement, we take the worry out of repairing your vehicle! We offer a wide variety of services in our state-of-the-art facility, and our priority is our customers. We are ASE and I-CAR certified, so you can trust that the work will be completed correctly and quickly. We will treat you like family anytime! Schmitz Body Repair & Paint want to eliminate the inconveniences caused by vehicle accidents, which is why we are happy to work hand-in-hand with your insurance provider to get you back on the road as quickly as possible. This includes offering courtesy loaner vehicles, assistance processing claims, and keeping you informed throughout the process. We want to treat you like a member of our family, and trust us to return your car to pristine condition. © 2017 Schmitz Body, Paint & Repair. Website by Arvig® Media.